Thanks to Max Bygraves and his song Tiptoe Through the Tulips, it's not difficult for people who know little about rallying to surmise that the Tulip Rally is something to do with Holland. And, knowing that country is as well endowed with mountains as London's streets are paved with gold, to dismiss the Tulip as a bit of a milksop event. Of course, there could be nothing further from the truth. The old Tulip may not have been the toughest, but it was no doddle. It was a deceptive event that could produce conditions as severe as any Monte Carlo Rally and could require the kind of endurance that would not have been out of place on a Liège -Rome-Liège. It blossomed in the 1950s and '60s and sadly ran into funding problems before the world rally championship was created in '73. It did not wither entirely, though, as it kept running, on and off, as a stage event in the '70s and '80s and was revived in '92 as an international historic rally that runs to this day. It is a fitting tribute to the rally and to the men that created it that so many later champions cut their teeth chewing on a Tulip. In the post-war revival of international rallying, Dutch drivers like Maurice Gatsonides and Karel Ton were often to the fore, but they didn't have a major event of their own. Legend has it that Gatsonides was chatting with a French driver and bemoaning the fact that Holland was too flat to have a rally of its own. His friend responded that Monaco wasn't exactly full of rally roads but that hadn't stopped it from holding a major international. Fired with the idea of a rally that merely finished in Holland, Gatsonides went to the newly formed Regional Automobile Club West and the Tulip was born in 1949. Its first clerk of the course was Lex van Striern, but the following year Piet Nortier took over and became the figurehead of this new international rally. In truth, the 1949 event was a bit dull, with seven starting places including Rome, Monaco, London and Glasgow from where the 159 starters tackled routes that converged on Brussels with the finish at the Dutch seaside resort of Noordwijk-Aan-Zee. 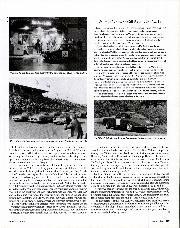 The deciding factor was a driving test held on the new Zandvoort racing circuit, so it wasn't a surprise that the winner in a Ford Anglia was the British trials champion and driving test expert Ken Wharton. The format stayed much the same for several years, with Wharton in various species of Ford vying with Ian Appleyard in various Jaguars for supremacy. 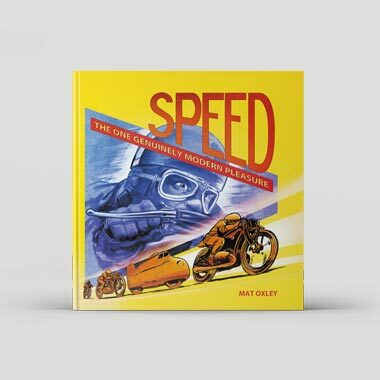 The 1951 event was notable in that it saw the first appearance of the now ubiquitous Tulip Road Book. Known to the Dutch as bol-piji — the ball and arrow system — this diagrammatic way of defining a route was used on the difficult mountain sections and proved so popular that in later years the whole route was given out in that form. The event was certainly popular, attracting 273 starters that year, of whom 71 came back to Noordwijk unpenalised. For the fifth event in 1953, Nortier toughened the route, introducing hillclimbs, selective stages on open roads and a downhill test at Clervaux in Luxembourg tackled with the engine switched off"! The Tulip was held at the end of April or beginning of May and the weather could be variable. On this occasion, ice and snow were frequent companions in the mountains of the Vosges and Jura which reduced the number of unpenalised competitors dramatically as well as providing months of work for the bodyshops of Europe. The outright winner was the Bristol driven by Bill Banks and Mike Porter, but after scrutineering they were demoted to second. This occurred not through any fault of their car but rather one discovered on a factory-supported Jowett Javelin driven by Marcel Becquart. 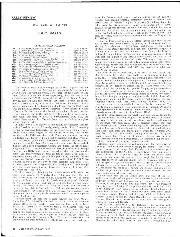 With Becquart's exclusion for a non-standard exhaust system, the man leading his class immediately improved his points total since these were worked out on an improvement basis within the class. 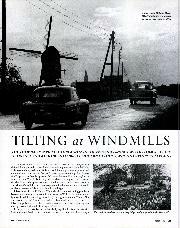 The beneficiary was Count Hugo van Zuylen driving another Jowett, who thus became the first Dutchman to win the Tulip. This question of class improvement was to plague the Tulip for years. No better example can be provided than the case history of one of the Tulip's most ardent supporters, Don Morley. He first drove the rally in 1956 accompanied by his brother Erle and a farming friend from Norfolk, Jimmy Shand. Don recalls: "We were supposed to enter in a new Jaguar 2.4 saloon, but when it didn't turn up in time we took Dad's Riley Pathfinder. Up until then we'd only done club and local rallies, and the thing that appealed to us about the Tulip was that it was a secret route so we were on a par with the works crews. We knew it was going to be tough in terms of length of time at the wheel, which is why we went three-up. Just as well, as the Pathfinder was unreliable." They finished 36th, but returned in 1957 in the Jaguar: "It was the year of Suez and there wasn't any petrol in France so we spent a long time driving around bits of Germany up by the Czech bonder in snowstorms." They improved to 26th. The following year they finished eighth and won their class ahead of the works Ford Zodiacs of Gerry Burgess and Peter Proctor. For 1959, the brothers chose to drive a Jaguar 3.4, promoting them to the largest capacity class and leaving the works Fords and Mercedes to slug it out in the one below. As it was, the weather was bad enough and the route tough enough to ensure that only five cars had no road penalties. The Morleys' Jaguar was in the lead even before the final test at Zandvoort, ahead of Keith Ballisat's works Triumph TR3A, Peter Riley's works Zephyr and Erik Carlsson's works Saab. That win helped to land Morley a works drive with BMC in a Healey 3000. "The class improvement system did the Healeys no favours at all," Morley says. 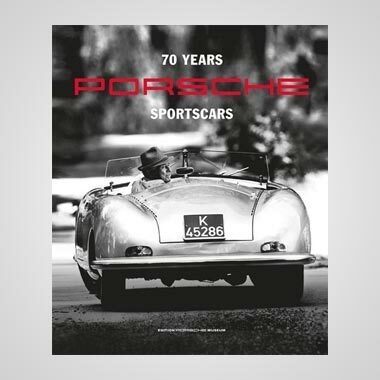 "We were always in a competitive class with guys like Hans Tak in a Mercedes 300SL and Hans Walter in a Porsche 356, not to mention teammates Pat and Peter Riley in Healeys. We did a lot of fast times and would have won on scratch on several occasions. 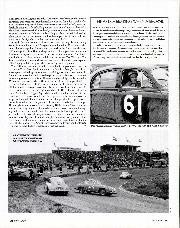 All we could do was win the GT category, and our best finish after 1960 was eighth overall. 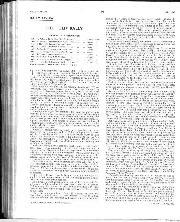 That was the year that Greder won with the Ford Falcon and we beat him on aggregate times." In 1959, the multiple starts were abandoned and a common start adopted in Paris with the route going as far south as Avignon. In 1960, all 225 starters went from Noordwijk to Monaco and back. Speed tests formed the backbone of the rally, supplemented by regularity sections with a 'challenging' average speed and a minimum of two nights and three days through the mountains of the Alpes Maritimes, Jura and Vosges. The class improvement formula was still there, though, and it produced a surprise result in 1961. At the halfway point in Monaco, Geoff Mabbs was fifth overall in his works Triumph Herald Coupé behind Carl-Magnus Skogh's Saab, Walter's Porsche, Böhringer's Mercedes and Schottler's Alfa. 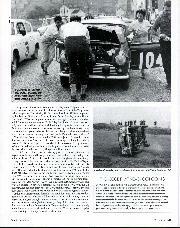 But his team-mate Tiny Lewis was having problems with his Herald's engine and was behind Mabbs. However, Lewis was quicker than the Auto Unions and Anglias that made up their class, so that by retiring he could help Mabbs. Lewis recalls: "We didn't know what the situation might be, but David Stone worked it out as best he could. We didn't have a team manager with us as Standard Triumph was pulling out of rallying and Ken Richardson was at home. We called Ken and told him that we proposed to retire just before the finish in the hope that it would give Geoff the win. He was shocked, but when Geoff's win was confirmed he found a plane from somewhere and was with us within two hours." Mabbs' win through Lewis' sacrifice wasn't so popular with Nortier and the organising team but they weren't prepared to give up their formula. For 1962, they introduced an element of comparison with the classes above and below. To prevent a repeat of the Herald scenario, they kept the test times secret. In '63, Henri Greder won with the big Ford Falcon and was second-fastest on scratch so it seemed to be working well. For '64, Timo Mäkinen pipped the Morleys in a Mini-versus-Healey battle, while in '65 the surprise winners were Rosemary Smith and Val Domleo in a Hillman Imp. They were beneficiaries of the formula but actually won the event on the road sections. Domleo, now Val Morley, explains : "It was a snowy year and that is why we won. We were the only car in our class to get up the Col de Faucille and back to Champagnole without losing time on the road. I stood on the rear bumper and clung onto the roof most of the way up the Col."
For 1966, Nortier decided to run the event on scratch times. In this way, the Tulip fell in with other major events. 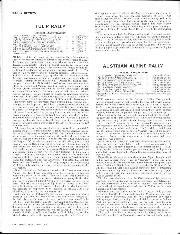 But he did have separate classifications for Groups 1 to 3 and for private owners, all of which helped to retain the huge popularity of the event. However, decreasing sponsorship allied to increasing costs of closing roads in France spelt major problems in both '67 and '68. Nortier was keen to retire and handed over his charge to Ton Zwikstra who ran the event from Rotterdam in 1969 and 70. With competition from newly promoted events in Belgium, Italy, Austria, Portugal and Scandinavia, the Tulip faded before being reborn in the mid-1970s as a special stage event. The disappearance of the Tulip Rally was a shame as it had provided a means of encouraging a generation of northern Europeans to go rallying on the continent. Had it adopted modern methods a little sooner and established a firm commercial basis, then it might well have been an inaugural member of the FIA's world rally championship. The first victim was the works Imp of Tiny Lewis and Robin Turvey. They hit the oil and then the same tree. Moments after they clambered out of the car, Mabbs arrived flat-out. He went off the road between Iwo trees some 50 feet before them. According to their testimony, the Cooper S engine continued to scream as the car described the rising part of its trajectory. And then the throttle was lifted. And then the brake lights came on. By 1961, Tiny Lewis had done the Tulip Rally several timesw as had his co-driver David Stone. Seated in Holland at the start of a fortnight's recce for Standard Triumph, they realised that they had good pace notes for all the speed tests. Enthused by their good fortune, Lewis recalls, 'We decided to go no further and spent our time sampling the delights of Amsterdam. Not wanting to be caught out, we took the precaution of winding on the speedometer by the correct amount of miles, but we weren't clever enough. Ken Richardson said to me: 'You never did that recce, did you?' I asked what made him think that. Well, the speedo reading was right,' he replied, 'but you forgot to wear out the tyres!' Fortunately, Triumph won the rally or there might've been repercussions." 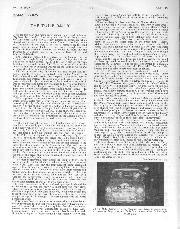 In 1966,I contested the Tulip Rally with Vic Elford in a Group 2 Lotus Cortina Mk1 and we were beaten by some 40sec in the Touring category by Rauno Aaltonen's 1275 Mini Cooper S. We knew why. The Minis used Dunlop racers and we were on Goodyear Ultragrips. 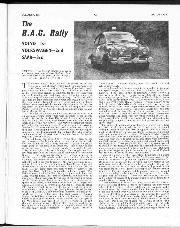 But we won some hillclimbs, usually the fast ones, so it was very puzzling as to how Rauno had taken 13.6sec out of us on the 10 kilometres of the Faucille, a main road hillclimb with which Vic was very familiar. A year later, I did the Tulip with Simo Lampinen in a Daf 44. This time the main opponents in our class were the light and powerful Trabants that were going to murder us on the hillclimbs. My little Finn remarked that it would be good to look for short cuts as he knew that Rauno had used one on the Faucille the previous year. End of mystery! We found it and used it with the Daf. We also found several others on a variety of tests, though after the night navigation section in the Haute Savoie we were sufficiently ahead of the Trabants that short cuts were no longer necessary. But then came the envoi. Towards the end of that 1967 Tulip, Timo Mäkinen was leading the Touring category from Rauno both in Mini Cooper Ss but his car was running on three cylinders and he needed a little help to keep ahead of his team-mate and Björn Waldegård in a Group 2 Porsche 911T. A private meeting with Paul Easter in the gentleman's conveniences of a hotel just outside Spa provided them with our 'variation' on the hillclimb going up from Malmedy, the Route du Mont. 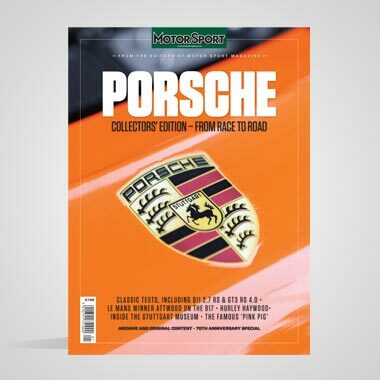 To everyone's surprise, not least Elford's he was leading overall with a Group 3 Porsche 911S and had set the quickest time on practically every test the fastest man there was Mäkinen , despite his car's evident lack of power. Mäkinen did win the Touring category and was second overall to Elford. It could never happen in the current world rally championship but was all part of the fun and games of rallying in the 1960s.